The lens features a tilt range of up to 8°, a shift up to 11mm and rotation up to 90°. The front lens protrudes far into the filter thread. Some filters (esp. effect or closeup lenses) might not fit without applying an additional distance ring. Zörk offers a Rear Shift Adapter (tripod mount) supporting a static nodal point during tilt and shift. 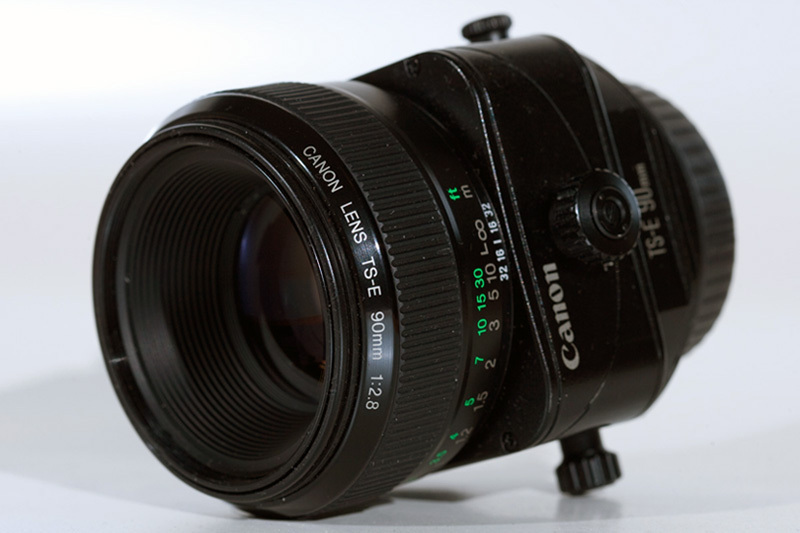 The Canon Camera Museum calls it the world's first Tilt-Shift lens for 35mm format. Not sure what they are referring to. The world's first 35mm T/S lens was already introduced in 1973 with the Canon FD TS 2.8/35 and at least the New FD version was able to simultanously tilt and shift.